One of the projects that I’ve been looking forward to making is a handmade leather duffle bag for my short weekend travels. 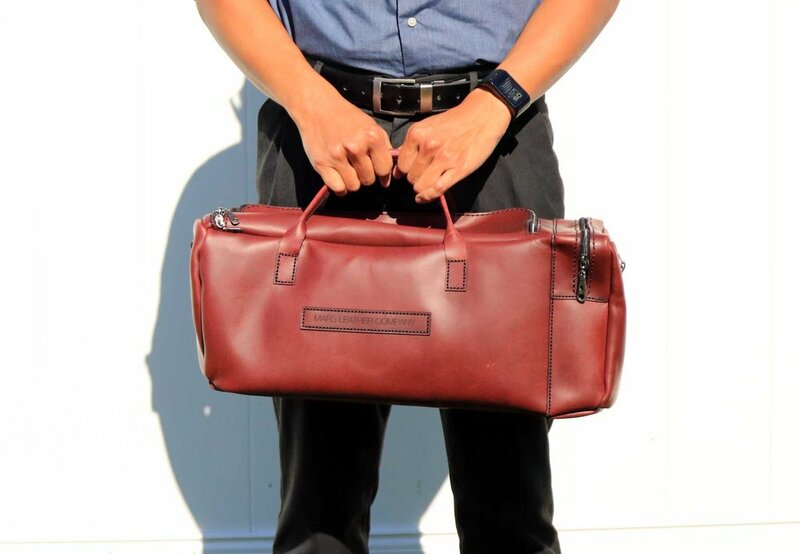 This bag would replace my current duffle bag that works as a carry on for flights and short road trips. 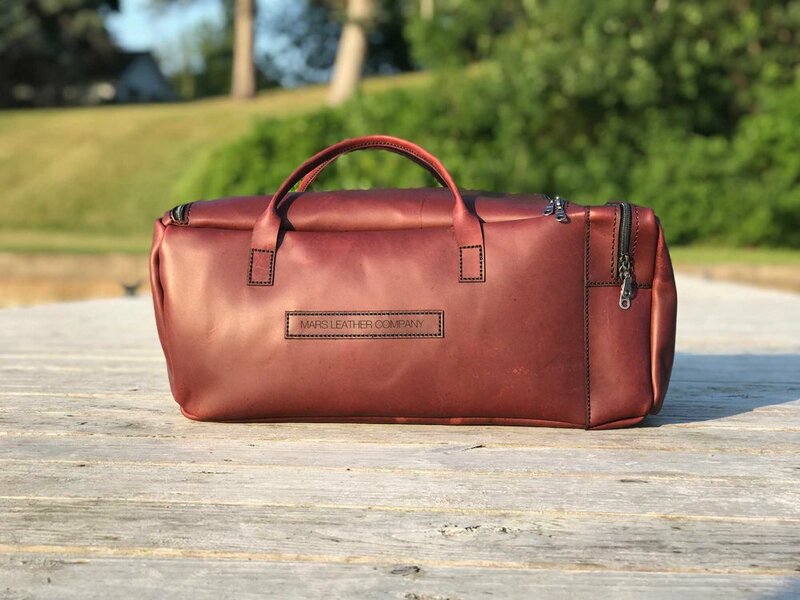 As the largest handmade leather project that I’ve made to date, this weekend duffle bag was well worth the time and effort. Using my favorite duffle bag as a template, I took its critical dimensions as a starting point for the design of the Mars Weekend Duffle. I also decided to design and make smooth rounded handles that would come together on both sides of the duffle bag for simple carrying. To try something new, the duffle bag was made with double zippers on the top of the bag for the large compartment and on the side of the bag for the side pocket. The double zippers would allow the bag to be opened at any area without the limitations of a single direction zipper. For this project, I used the same beautiful red top grain leather that I’ve used on other projects and the result is beautiful. 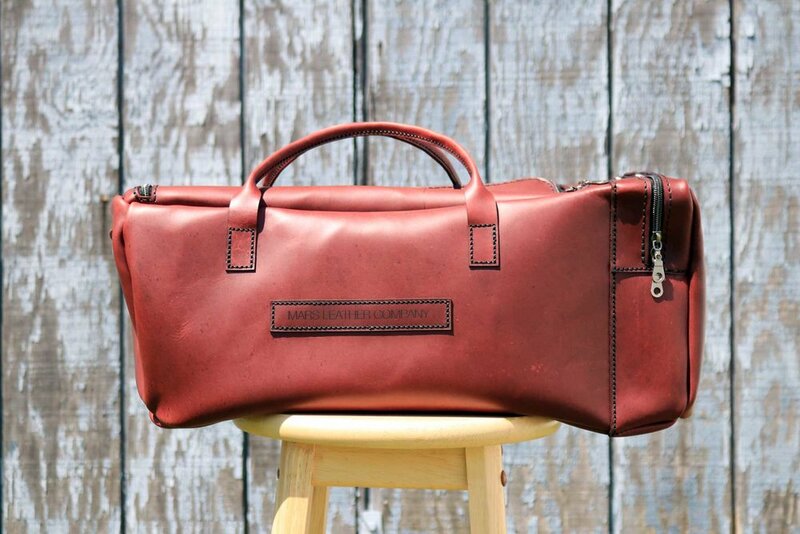 With a bag this large, the scars on the leather are visible and they add character to the bag. The black stitching and zippers create a bold aesthetic for this simple weekend duffle bag. As my personal weekend duffle bag, I’m really enjoying my use of it and I’ve already come up with several modifications for the next version. This project helped me appreciate the amount of focus, patience, and effort that goes into making a high quality product. For every project moving forward, it’s important for me to have the same outlook and energy for creating my products.